The Government’s newly announced £201m road repair fund – and investment in technology – will help to address shortfalls in funding but is still a drop in the ocean compared to what’s needed to bring England and Wales’ roads up to scratch. That’s the response from local council and motoring-related organisations following yesterday’s Department for Transport news of new pothole funding, as they continue calls for funds from fuel duty to be ringfenced for road repairs. Announced by Transport Secretary Chris Grayling, the new DfT funding will see councils get an extra £50m for potholes and flood resilience as well as £151m to reward examples of councils’ best practice; part of the £6.6bn pot that the Government is providing in the six years to 2021 to improve local roads. In addition, the Department for Transport will fund early stage research into new surface materials or pothole repair techniques, such as 3D printing. A digital hub will also be set up for experts to share and develop innovations. 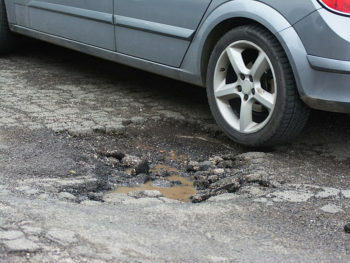 Transport Secretary Chris Grayling said: “Every motorist knows that potholes have been a problem in the last few years. That is why the Government is continuing to step up its funding to local authorities to address this. The Local Government Association (LGA) welcomed the funding but called for a more longer-term funding commitment. 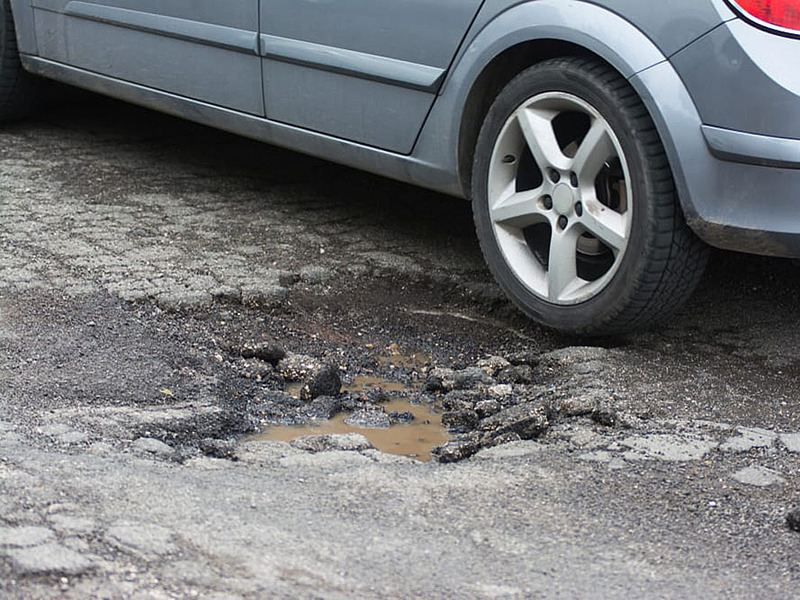 Cllr Martin Tett, Transport spokesman for the LGA, said: “Potholes are the scourge of all road users and this funding is good news to help councils repair them and pioneer innovative ways to stop them forming in the first place. “While innovation will help councils who are fixing a pothole every 17 seconds, funding challenges remain for local authorities to deal with long-term maintenance of their local roads and address a backlog of road repairs which has risen to nearly £10bn to provide better roads that are safer and more resilient to constant use. The RAC echoed the LGA’s calls for the Government to consider ring-fencing a proportion of taxes raised from fuel duty, as it commented on the new funding. New solutions to potholes – including pothole repair machines such as Dragon Patchers and JetPatchers – are already being explored by local authorities using previous funding. Flood damage prevention is also under review; the Department for Transport, along with Cumbria County Council and highway survey firm Gaist, is also trialling low-cost sensors to monitor river levels across the region. And the Government announced earlier this year that it’s investing £23m in trials of new road surface materials and pothole repair techniques, such as using kinetic energy to heat surfaces, recycling plastic waste into a harder-wearing surface or installing sensors to predicts where issues might occur. A guide on best practice on pothole repair, developed with the Association of Directors of Environment, Economy, Planning and Transport, has also been published while the Department for Transport is currently consulting on ensuring road repairs last longer by requiring utility companies to guarantee their roadworks for up to five years, instead of two presently. It will also shortly announce a review of road condition surveying data and technology, which will look at the current methodology used to monitor road condition as well as how councils and the wider sector can harness new forms of technology and data to improve our local roads and infrastructure. And the Department for Transport is establishing a ‘Review and Audit Group’ in liaison with the highways sector to ensure adoption of best practice, with further details to be announced shortly.